We've put together a cheese hamper that we feel represents some of the best of British cheese. 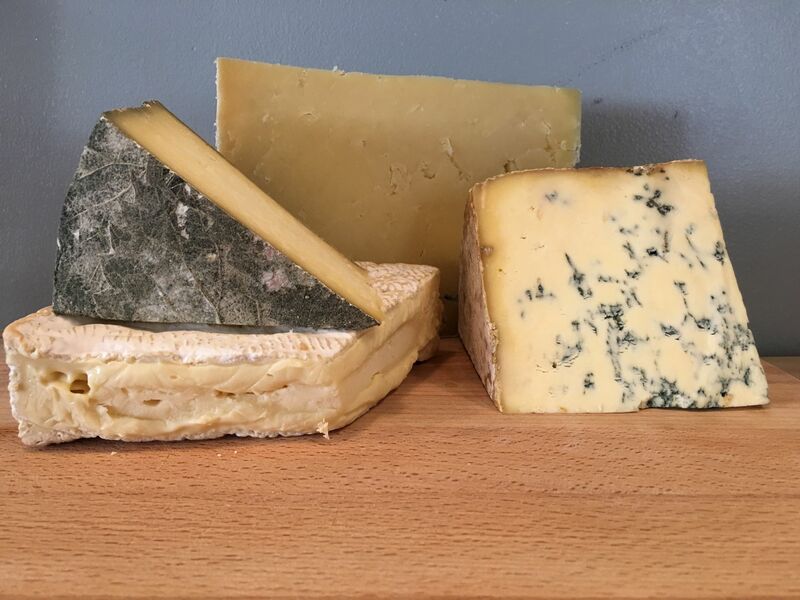 There are so many great British cheeses available that it'd be impossible to fit them all in one selection but we've picked these four as they work well together and can appeal to all tastes. Colston Bassett Stilton - A superb example of a classic Stilton. Hand ladled and made with pasteurised milk (as all Stiltons are currently) Colston Bassett has a lovely rich buttery flavour with beautiful blue marbling. Cornish Yarg - A very popular cheese with our customers and it's easy to see why. 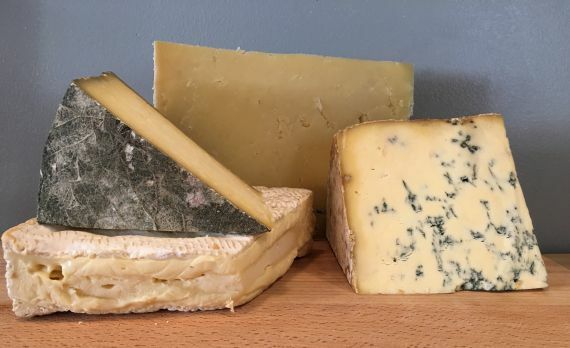 Wrapped in nettle leaves, Cornish Yarg has a beautiful appearance and one of the best parts of being a cheesemonger is unwrapping a whole Cornish Yarg. Mellow flavour with creamy texture and a mild and pleasing bitterness from the nettle leaves. A relatively new British cheese that's starting to become as famous as cheddars and stiltons. Baron Bigod Brie - A British Brie to rival the French classics. Made with unpasteurised milk in Bungay, Suffolk, Baron Bigod has a wonderful creamy flavour, satisfyingly not too strong. We love watching a cut Baron Big start to ooze as there's a good chance we'll get to eat some of it! This selection contains approximately 250g of each cheese. Baron Bigod, a beautiful, unpasteurised English farmhouse brie from Bungay, Suffolk. This cheese takes the classic French Brie de Meaux and adds another dimension. Every month we put together a delicious selection of cheese and accompaniments for you to enjoy. Cornish Yarg is an immensely popular, mild and creamy hard cheese from Cornwall. Deliciously fruity and tangy, unpasteurised mature cheddar from Wincanton, Somerset. This cheese selection box is full of our most popular cheeses. When you taste them you'll see why. Missed cheese during pregnancy? Indulge yourself with this selection of cheese you've not been allowed. We've put together this selection of fantastic Welsh cheeses.